This quick and tangy side goes well with some simple chicken or pulled pork. Add the miso, mayo and rice vinegar to a big bowl. Whisk to combine. 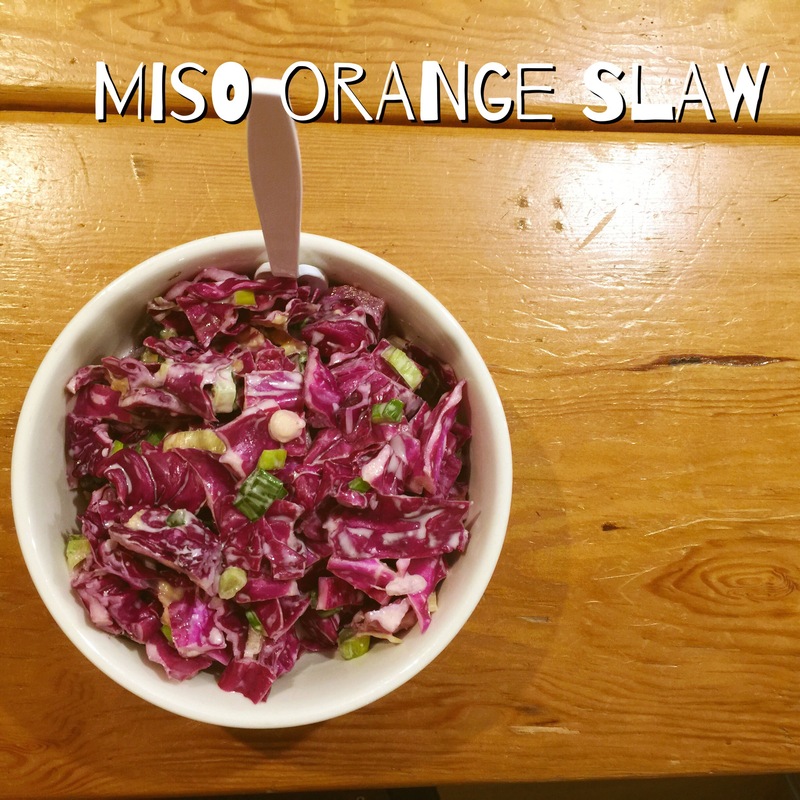 Slice the cabbage into ribbons, chop the green onions, and segment the oranges. Add to the bowl. Toss, hit with salt and pepper, toss, taste, and adjust seasoning if necessary.